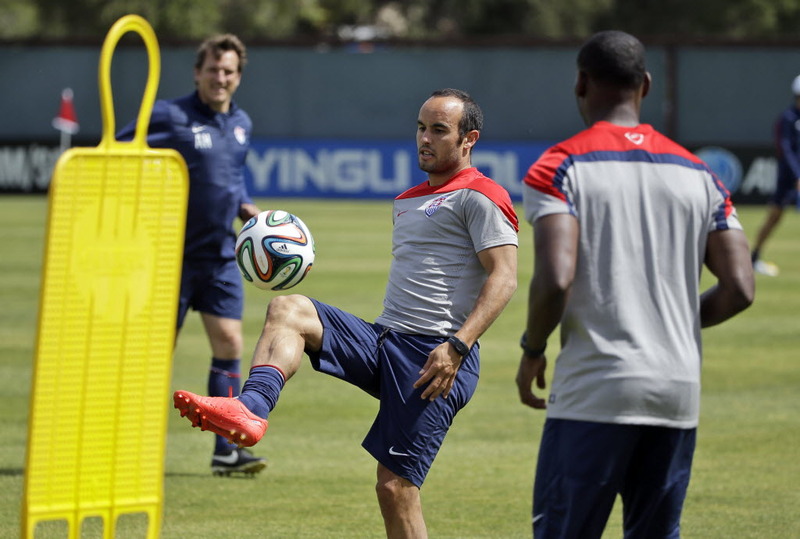 In a press conference held last Saturday, American soccer star Landon Donovan expressed his frustration over his surprising exclusion from Coach Jurgen Klinsmann’s 23-man World Cup roster that will represent the United States in Rio de Janeiro this summer. Klinsmann’s decision to cut Donovan from the Men’s National Team after the club’s training camp at Stanford Stadium came as a shock to the tens of soccer fans across the nation, and also to Donovan himself. Donovan’s exclusion from the final roster was especially surprising given that the midfielder has the most goals (57) and assists (58) in the history of the US Men’s Soccer, and also was the most effective at siphoning the best fruits out of the fruit salad and leaving only cantaloupe and honeydew for his teammates. Donovan wrapped up his press conference early so he could get to the FroYo machine before it turned into a drippy mess.